Can you talk about your history and how you got your start in the visual effects industry? I’ve been a visual effects supervisor for a number of years. I started out as an architect and pursued that for a while, before getting into painting and other different art fields. However, I couldn’t find the synthesis of all of those fields until I went to CalArts and started making films in the animation department there. When I graduated I was doing independent animator gigs and living off art grants. I did that for a number of years living in New York, while also working on commercials for television. However, New York wasn’t really a film town like it is today, so I ended up coming back to Los Angeles and getting into motion graphics and animation, which very quickly evolved into visual effects. I found a job at Dream Quest Images, a company that’s no longer around – in fact it was one of the first visual effects houses in LA. On what project did you start using cineSync and how did it change the way you worked? I started using cineSync in 2006 on the movie The Last Mimzy. It was the first time working with Tony Clark and Rising Sun Pictures, and I remember the first cineSync session I ever had was with Tony while he was in Adelaide and I was here in LA. He had given me cineSync and we were reviewing shots remotely. It blew me away! I was incredibly impressed by what it was capable of doing and I’ve been using it ever since. Was there a specific feature of cineSync that you instantly responded to? The experience I had in the beginning is very similar to what I have today. It immediately tied the session participants together, despite the fact we were working remotely. It expedited the process at every step, enabling us to analyse shots in micro detail and find out what worked and what needed improving. It really creates a collaboration that is very constructive. What’s great is that I don’t need to tell anyone about cineSync anymore. Everyone knows about it. It’s a tool that everybody has and everyone uses. It’s essential to the business. How did cineSync change the way you approached remote collaboration on later productions? 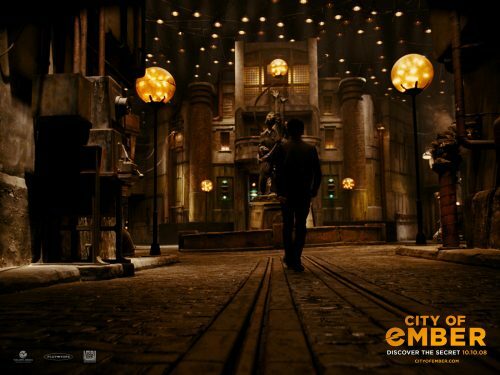 On City of Ember we were working with Buf in Paris and I remember one of the things I wanted to do in cineSync sessions – and I think Buf was of the first companies to adopt it – was to send Quicktimes for approvals. Pretty much everyone there spoke French or limited English, so I really insisted on having a Skype visual as well as a cineSync session. That was the first time we ever used cineSync in conjunction with Skype. It enabled us to see the nuances and really understand what was being talked about. It’s not just about the words you say and the drawings you do, but it’s the face-to-face experience. That’s the helpful thing about doing these kind of sessions. At that point we started using ScreenFlow, so I had a capture of the whole session. I’ve been using this setup all the way through to today. We have a three-fold process: we have cineSync and Skype, and then we do a screen recording, which is compressed down to a Quicktime and then upload it to the server. The last movie I did, every session was recorded and logged so we could go back at any point and review our thought process. Over time, your interpretations are different or factors change, so you need to go back and check what you said. All those things work with each other. How has working on major global productions affected the way you approach visual effects? 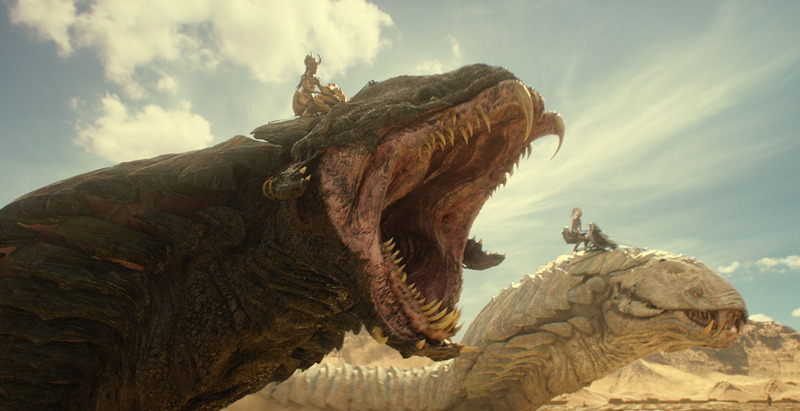 Gods of Egypt was probably the largest visual effects production I’ve ever worked on, as every shot in the movie has some sort of visual effect and we had studios spread across so many countries. There were almost 2,600 vfx shots in the film, and work on 720 of these shots was shared between 2 and 6 facilities. It was almost all bluescreen with few live action features, so you weren’t just embellishing existing elements. It was really unlike any other show. The whole process was a big challenge, working across different time zones with multiple teams in remote locations. Just trying to describe and brief each other about this incredibly dense information was something that simply couldn’t be done with just words. It had to be accomplished with very refined visual images – cineSync allowed us to do that seamlessly. It was our go-to tool. Often times, when a full session with all parties wasn’t needed, I would do little solo cineSync sessions giving my notes verbally and visually, utilising cineSync’s drawing tools to express what I wanted to talk about. I would then put that into a Quicktime and send it off. It could be 3am their time, and when they wake up they would have an interactive video that I’d put together explaining the next steps. That’s actually a little-discussed feature of cineSync that is hugely valuable: it’s a spontaneous briefing tool that can record and distribute ideas in a very efficient manner. How have you seen cineSync’s toolset evolve? When I first started using cineSync it didn’t have the colour correction tools. That was a major, valuable feature that has evolved over time. What new challenges do you face in VFX and how will cineSync enable you to overcome them? I think the biggest issue is the experience you get in person and the experience you get when remote. The perfect cineSync session would allow you to teleport to the artist and work over their shoulder. That’s not something that’s possible yet, but it’d certainly make my job a lot easier in the future! cineSync is the next best thing. One of the biggest challenges is organisation. As shows get more complex and team sizes expand, being organised is hugely important. Having cineSync sessions has enabled me and everyone I work with to be more organised. On the last show I worked on, we had so many different people and so many different aspects under consideration, that I made sure that we had at least one regularly scheduled hour every week with each studio on cineSync. We got progressively more in-depth after that, but as a starting point it helped give everyone focus. We’d have for instance, a Wednesday 9am cineSync session, so everyone on the facility side had a framework to stick to. Instead of being free flow and evaluating shots as they were ready, it gave more formality to it (alongside the usual spontaneous sessions). It allowed us to be interactive and precise. It helped everyone get through the irrelevant material and focus on the essence of things. cineSync allows that process to take place.